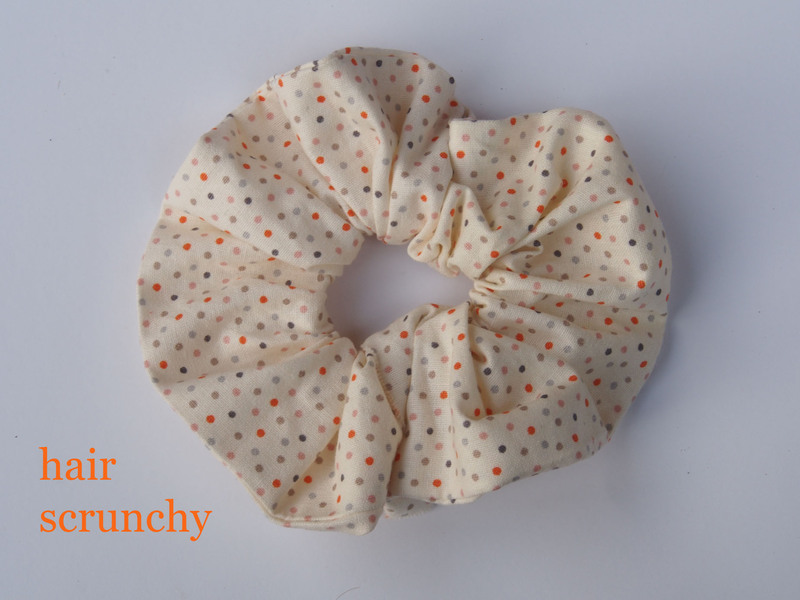 I decided to create this hair scrunchy because as well as wanting to wear it out and about I heard hair scrunchies are great to wear to bed. 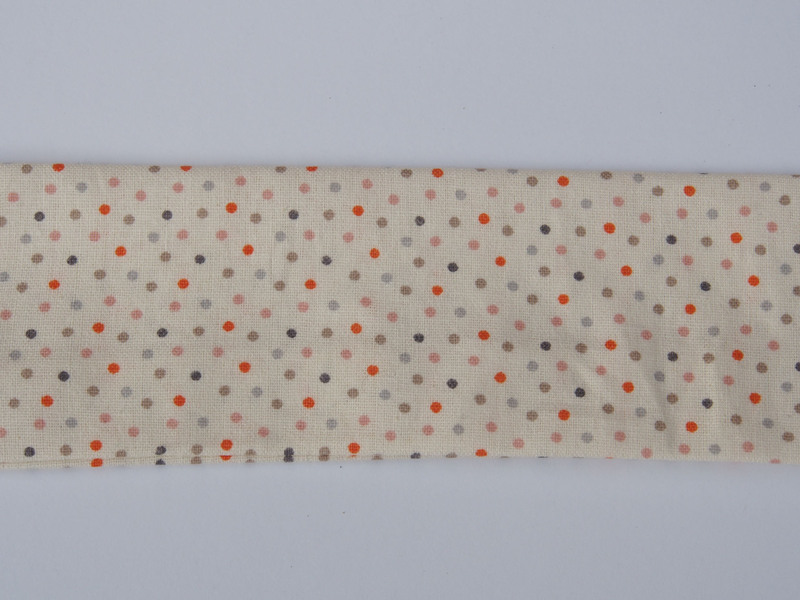 They are better than normal hair ties because they are not as tight and wont pull on your hair. 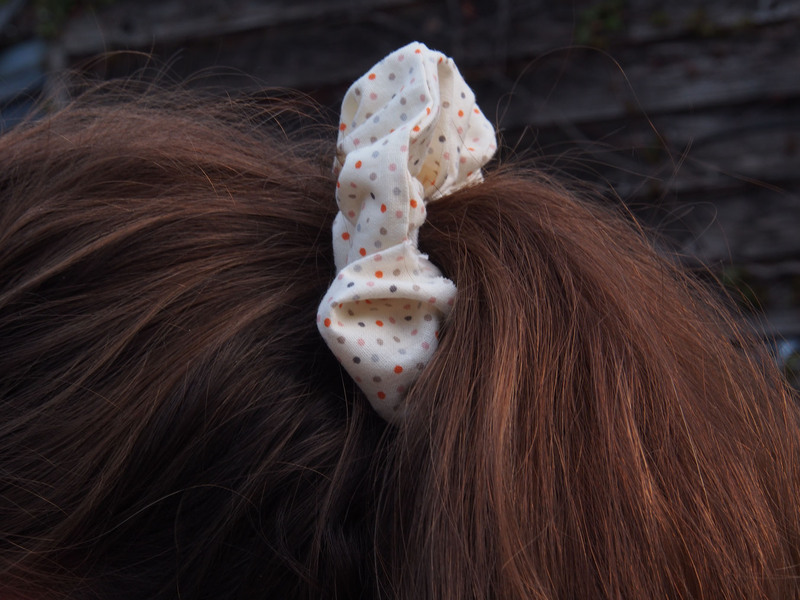 My hair is thick so I made the width of my scrunchy thick too. Depending on your hair type, it’s up to you how wide you want it. 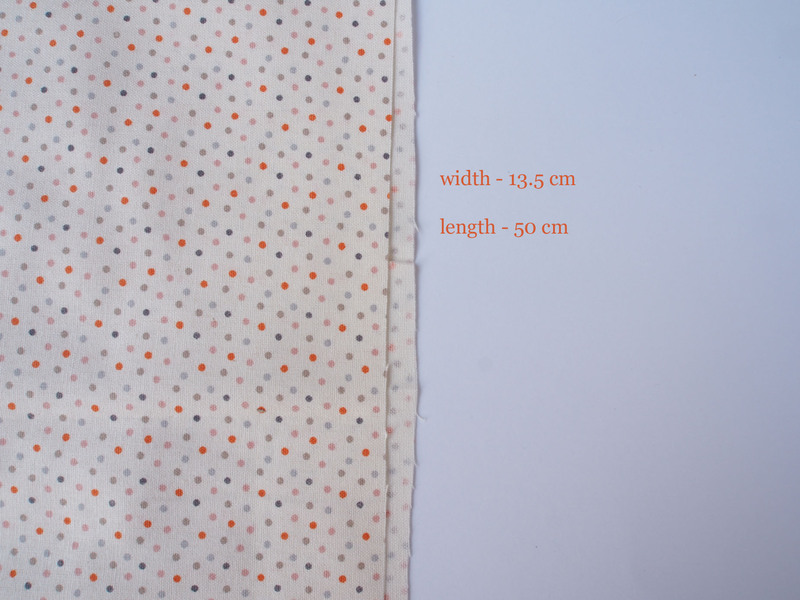 Make sure you add a centimeter or more of seam allowance. 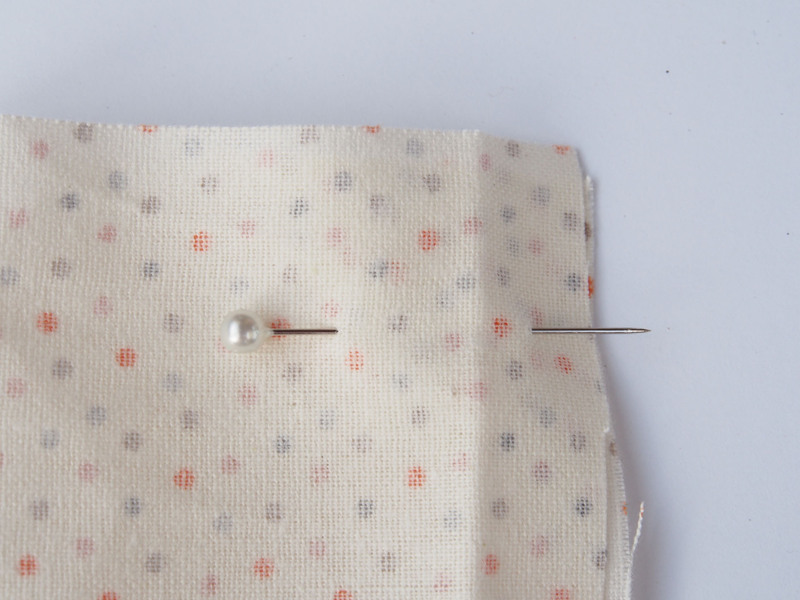 Pin to hold the material in place and cut along the edge of the material. 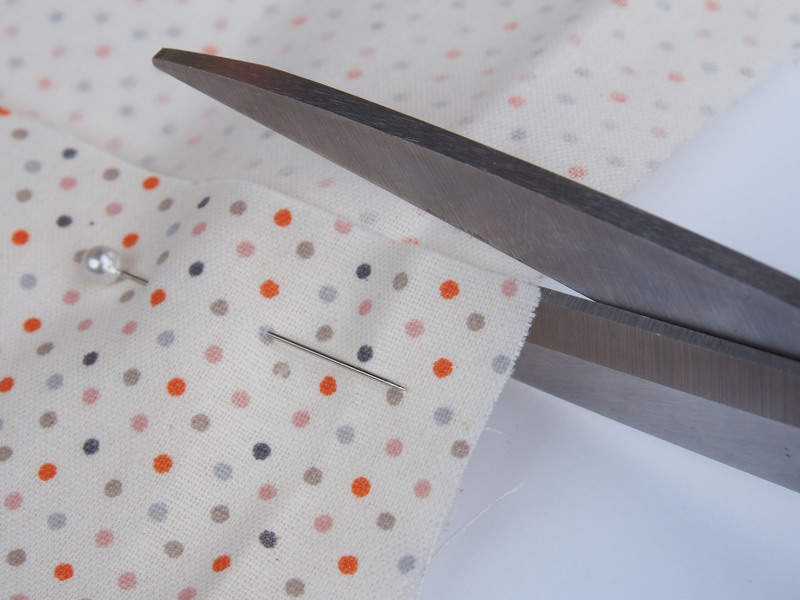 Fold the material in half, inside-out, and pin before you sew so it doesn’t slip out of place. 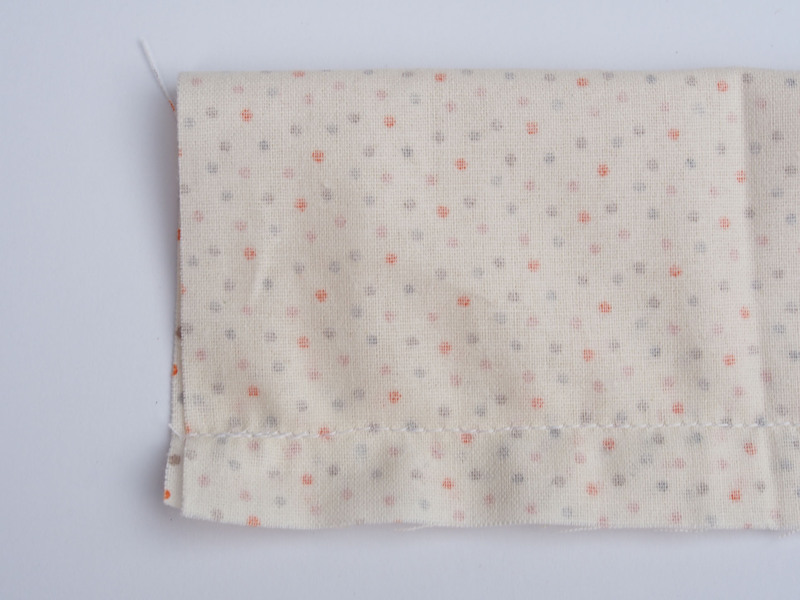 Sew the pieces together one centimeter and a half in from the edge. 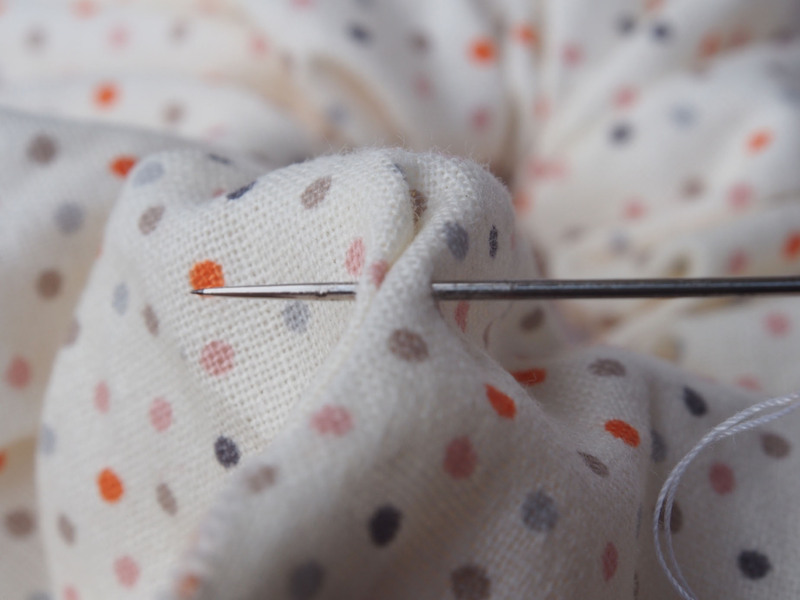 Don’t forget to back stitch on both ends! 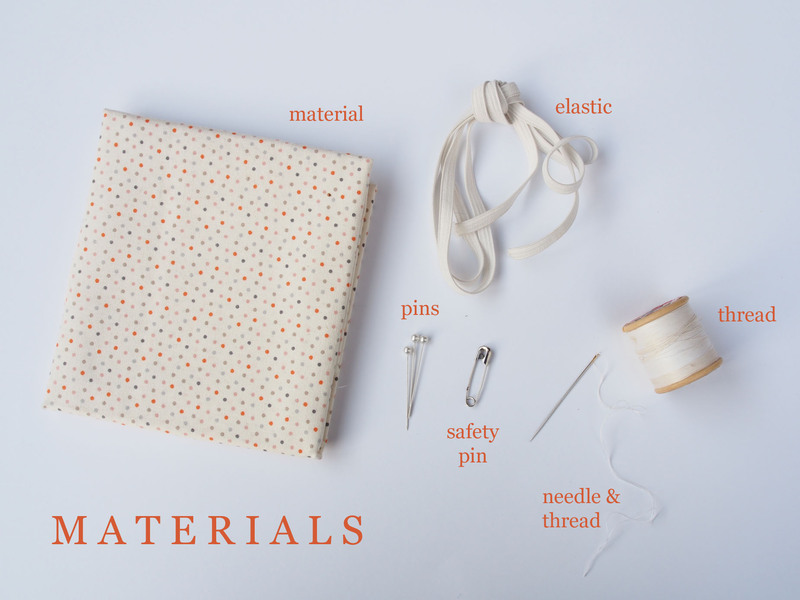 Turn the material back the right way around. Iron it so it’s flat. 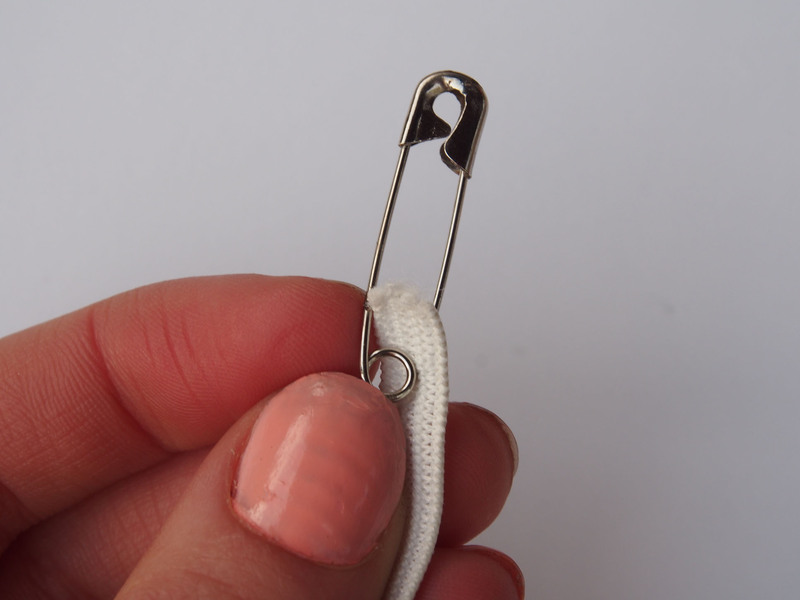 Attach the safety pin to the end of the elastic. 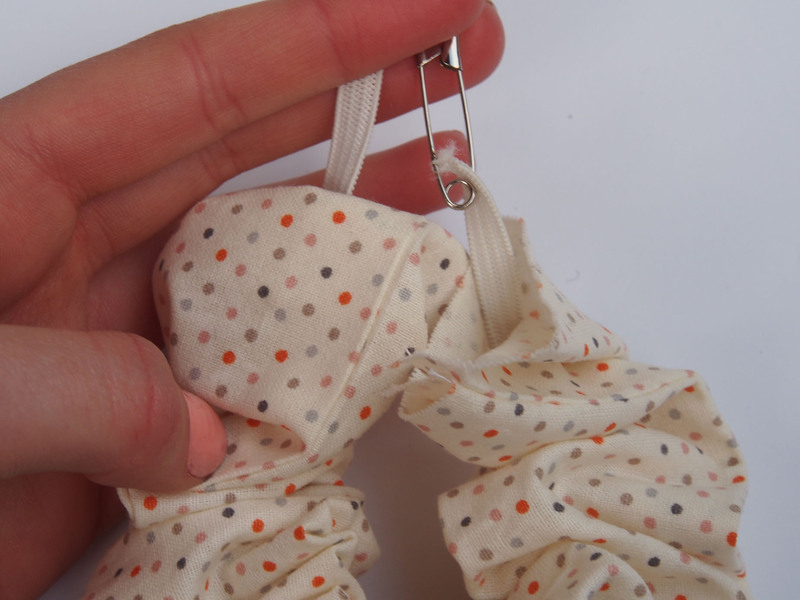 Work out how tight/long you want your elastic. 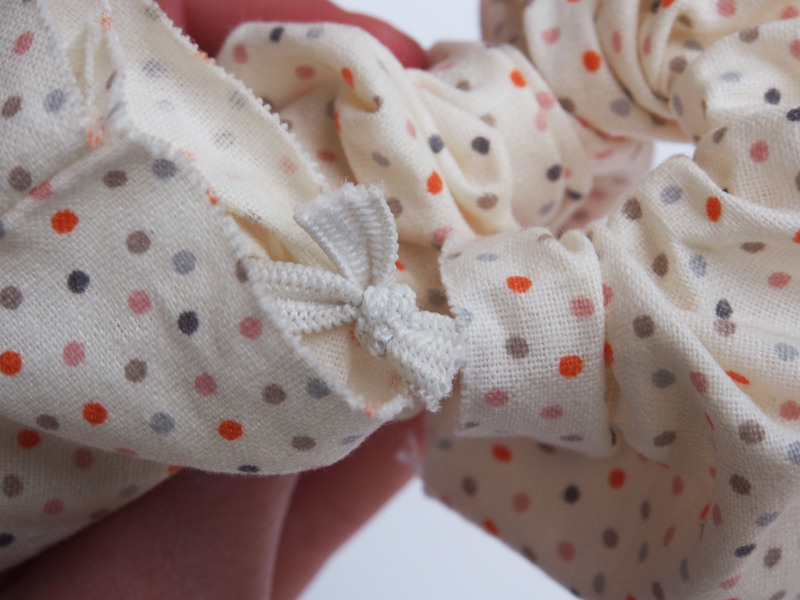 Tie a double knot and cut off the excess. 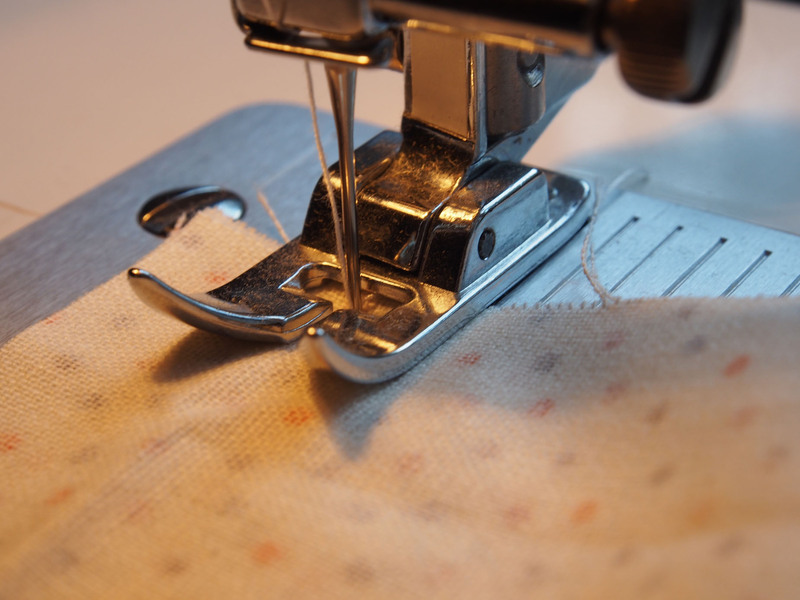 Sew the gap closed with your needle and thread. Style in a ponytail or bun.